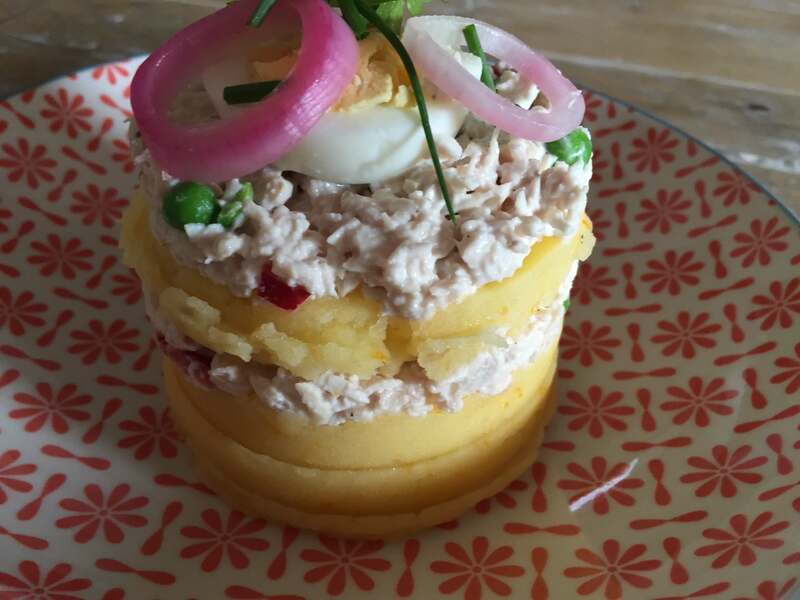 Causa Limeña, a tasty Peruvian potato, chicken dish. 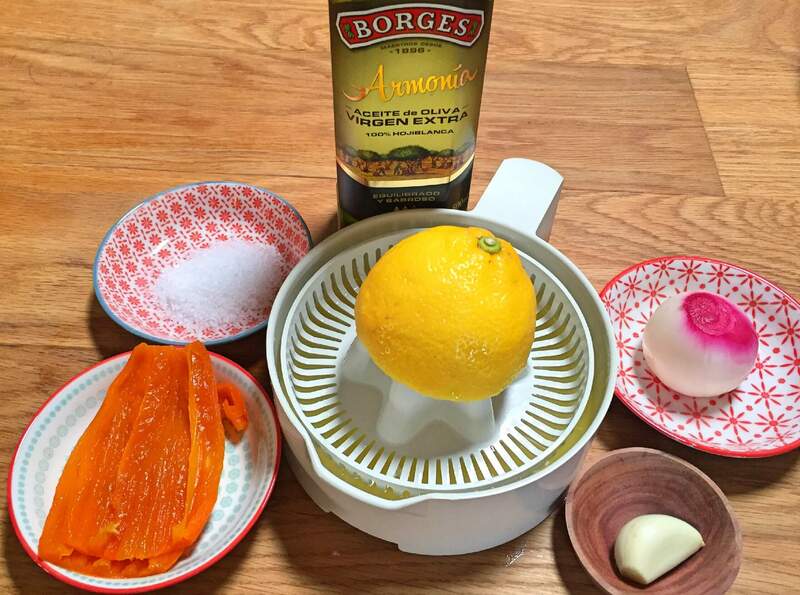 You must try this tasty Peruvian dish. 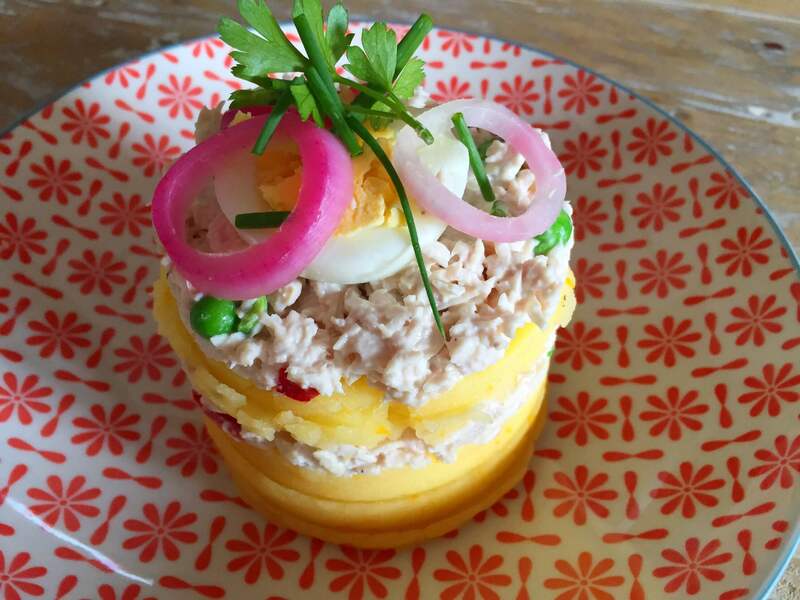 I had the best Causa Limeña in a tasting menu at Canalla Bistro in Valencia it was so delicious i had to eat it more often and came to this recipe, its pretty close. Because this dish is cold, fresh and spicy it´s perfect for a light summer lunch or dinner but it´s also a great and different dish for on a buffet table. 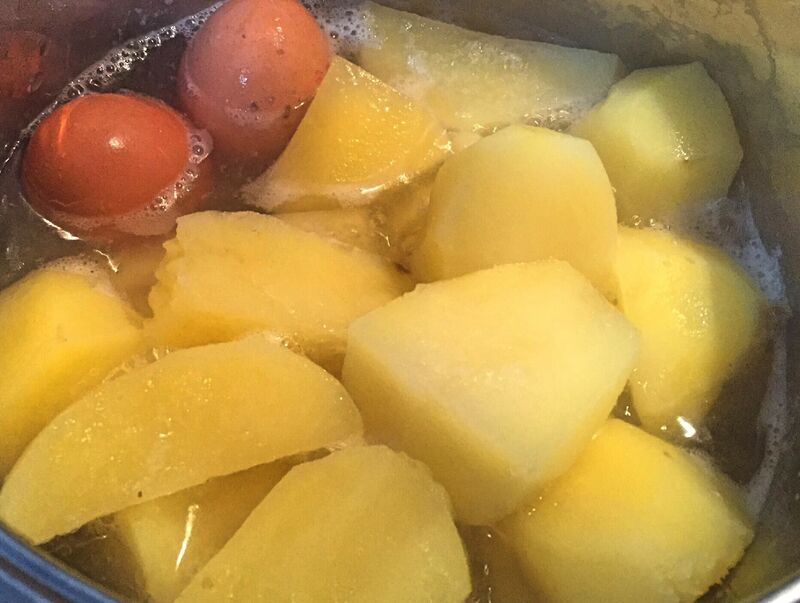 Boil your potatoes and eggs until they are ready to mash and set aside to cool. Keep the eggs for garnish. 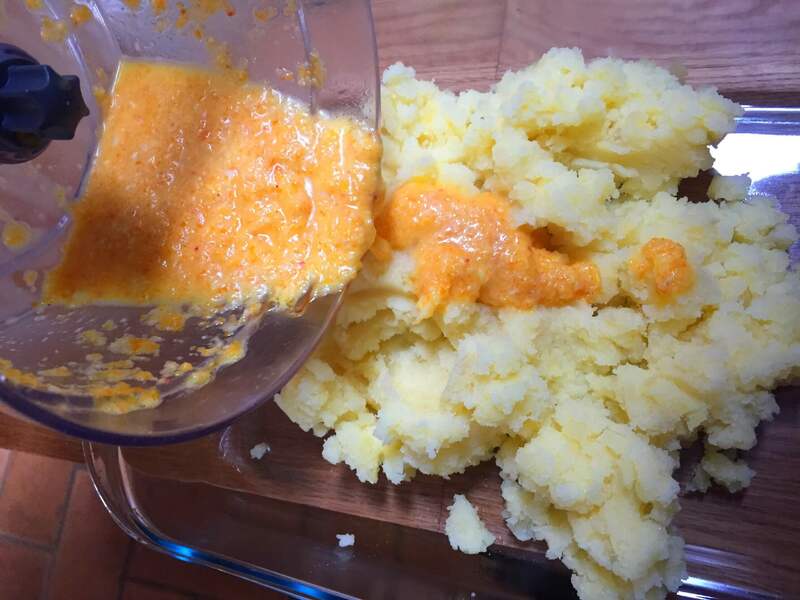 Mix the onion, lemon juice Aji, garlic, salt and olive oil in a blender and let it marinate for a bit then pour over your potato and mix with your hands. 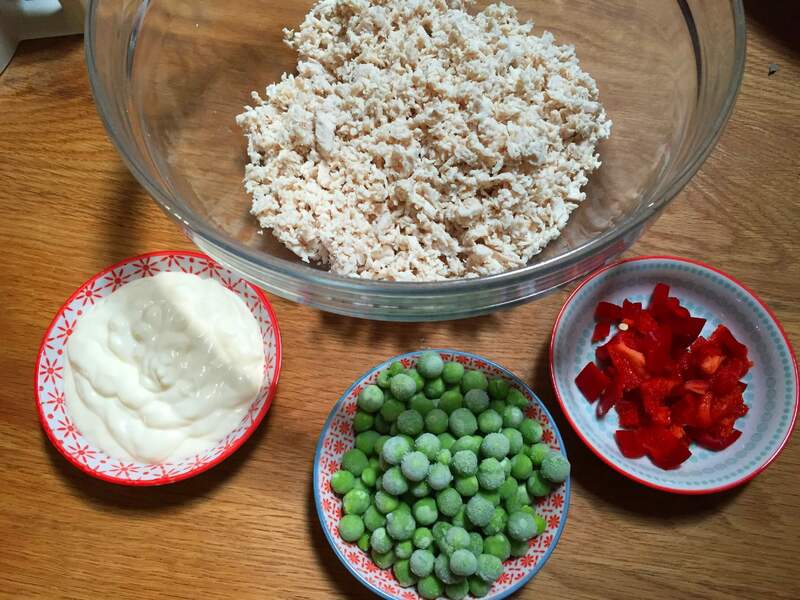 In the image below it shows the pickled onion that one is for the garnish on top, use the normal red onion. 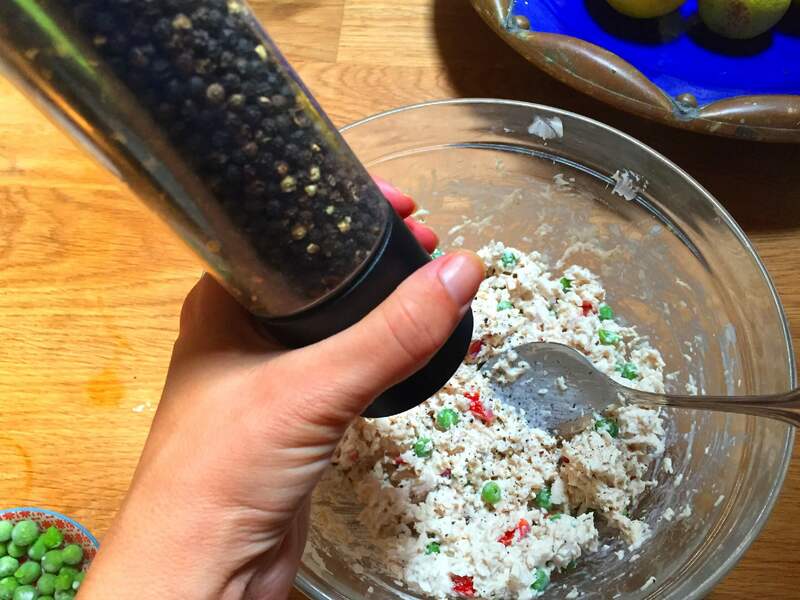 Cook your chicken and shred them, mix in the evaporated milk, mayonnaise, peas and season with salt and pepper and set aside.